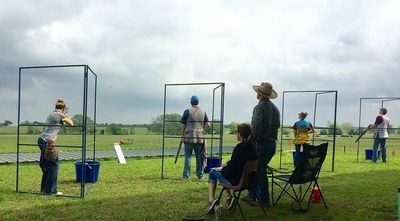 The Sporting Clays Mobile Range provides shooting opportunities for youth, women, gun clubs and ranges. The unit may be scheduled for public events, but must be scheduled a year in advance. The range supports special events such as the 4-H WHIZ-BANG competition and Becoming An Outdoor Woman workshops. Email Morgan Harbison or call (512) 413-0194 for more information.